March in the state of Arizona is perfect beer-drinking weather. The sun is out, temperatures are perfect. In this edition of Top Taps, we recommend places with great patios—drinkin’ spots where you can get outside, lounge around, and sip a cold one like you own the place. Growler USA – High Street. Not one, but TWO patios to choose from. One is more enclosed and features more social seating (as opposed to just tables), but either way, the people watching at Growler is dynamite, especially on a busy night at High Street. Just try to choose only one of their 90+ taps. Word is they put 3 – 4 new beers on tap A DAY so the options are always changing. 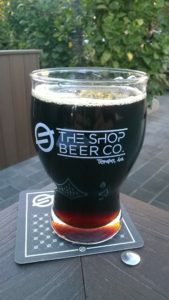 Shop Beer Co.—Tempe. Yes, they are a regular on Top Taps, but Shop is one of AZ’s best beer drinking experiences. The beer garden, situated between the tap room and the brewery, is just downright pleasant. Fire and Foraged is gone making the space a bit more open, but you’ll want to eat before you go. OHSO—Paradise Valley. 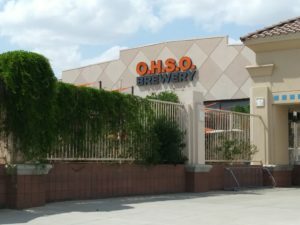 OHSO in Paradise Valley has remodeled their patio space, removing some of their gaming area and turning it into…a second bar. 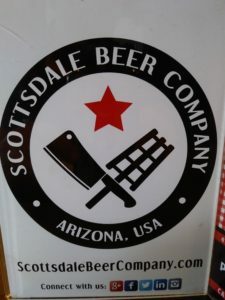 Scottsdale Beer Company. The Chili’s next door has been torn down, so their patio overlooks…a construction zone. Oro Brewing. Kind of a similar situation. The space next door to Oro is getting a remodel (which is great for downtown Mesa), but that means Oro’s patio (on Main Street) shares sidewalk with a bunch of orange barricades. Bummer. ← Beer Spotting at…Soup and Sausage? Yes!